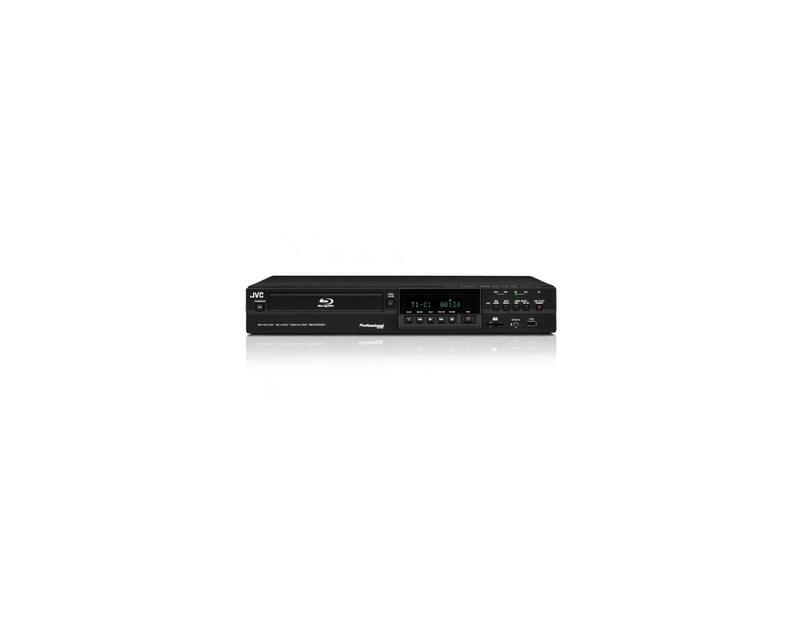 The SR-HD1700EU combo deck allows users to create standard Blu-Ray™ high-definition discs or standard DVDs directly from a live video input or from video files stored on its hard disk drive. 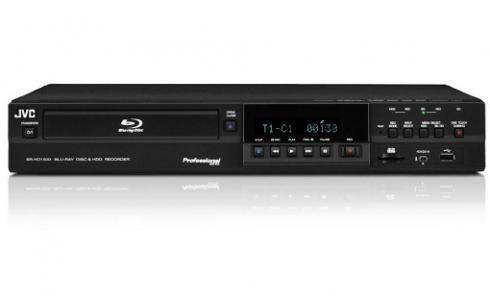 Live input is provided through the unit's A/V connectors (SD) or the IEEE-1394 interface (SD/HD) and can be recorded directly to Blu-ray or DVD, or to the internal 500GB hard disk drive. Record BDMV, BDAV, DVD-VR and DVD-Video discs directly from a variety of sources, or from the internal high-capacity hard disk drive,and ensure compatibility with the widest range of players. 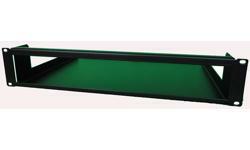 The deck supports import of MOV and MXF* files from JVC ProHD cameras (GY-HM890/HM850, GY-HM600, etc.) ecorded in HQ mode (35Mbps) or SP mode (25Mbps/19Mbps). You can perform simple editing at the deck’s HDD with no need for a computer, and output the result to a Blu-ray Disc. stops once, then resumes recording until the media becomes full. Video files edited on a PC using NLE can be uploaded to the SR-HD1700 for creation of a Blu-ray Disc. 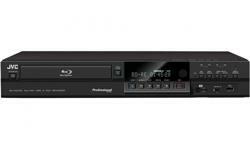 * Except DVD-R(DL) in case of direct recording in DVD-Video format. DVD is limited to Everion Backup Disc. YES - It is not applied to seamless playback. YES - It is possible to playback by taking out disc from catridge. YES - It is impossible to playback mov file on SDHC card directly. It is impossible to playback mov file on SDHC card directly. Support Codec is MPEG2 only. Please note: The internal HHD use a special format, the data can´t be transfer by USB or other transfer system, Backup of data on the HDD only as Video Disc´s. Formats External Video Files can´t be copy directly to the HDD. If the Unit supports FTP you can copy only dedicate Video File Formats, see spec´s. The HDD can not be made visible on external PC systems.